Reducing the number of accidents and deaths caused by drink driving has been a key objective of the UK’s Department of Transport. Despite seeing numbers falling, it still accounted for over 13% of all road fatalities. In the run up to Christmas, this hard-hitting campaign, spanning TV, radio, press and out-of-home, confronted viewers with the stark reality that drink driving was not a victimless crime through the harrowing face of a young woman dying on the road, while paramedics frantically try to save her. Through the combined publicity created in the media, when polled an incredible 97% of UK public claimed they had seen the campaign. This equated to over 2 million pounds of additional media exposure. 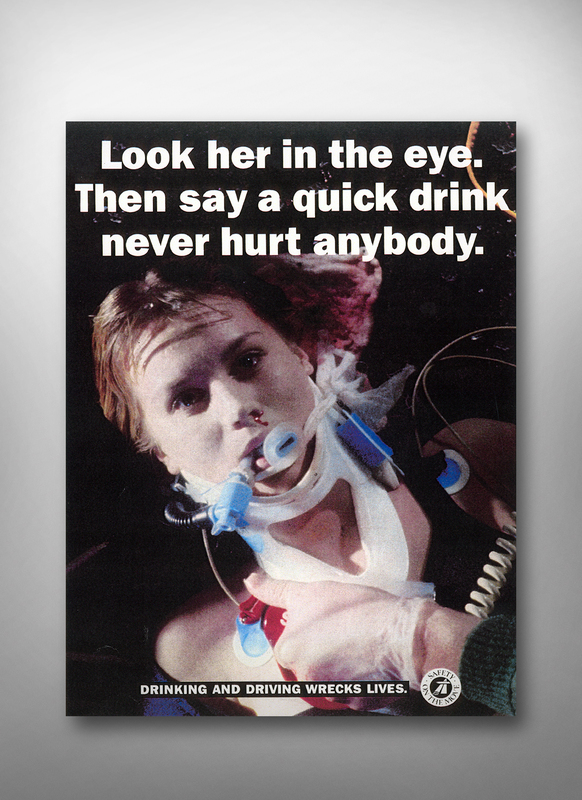 This made it one of the most successful campaigns in the 50 years since the anti-drink drive awareness campaign began.